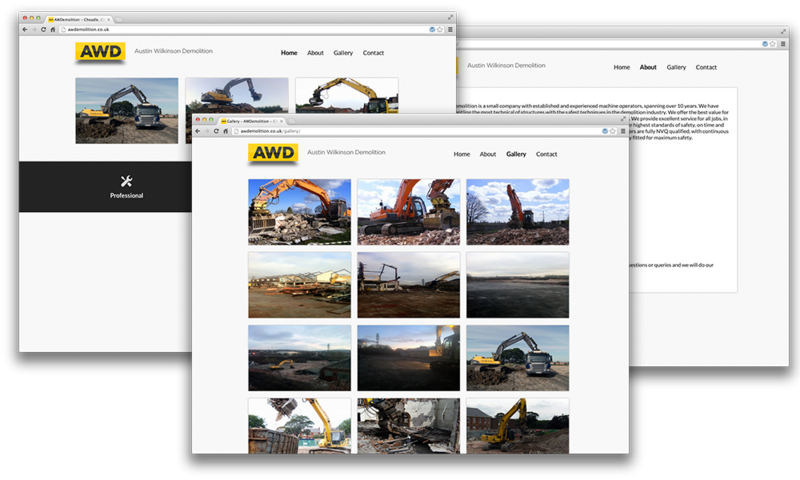 AWDemolition wanted a good-looking site to provide potential clients with a great impression of the company, and an easy mode by which to contact them. The brief was simple: create a good-looking and simple site, which the client can update at the drop of a hat. Using the latest techniques I created a site that works flawlessly across all major browsers both on the desktop, and on mobile, and after only a couple of revisions the project went from conception to launch in a matter of a couple of weeks. To match the new site, the company further requested a new logo, and immediately I was able to create a simple and smooth match for their business. Technical Details: Using HTML5 and CSS I created a responsive site. I then based it on Wordpress to enable easy editing for the client. Prior to this it was designed in Photoshop.